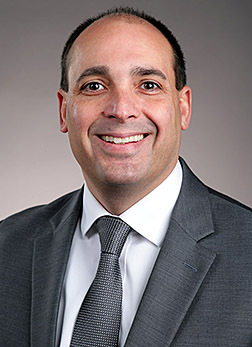 A new director of the LaunchPad Incubation Program has been named to continue The University of Toledo’s support of technology commercialization and regional economic development. Brian Genide, a UT graduate with a bachelor’s degree in psychology, brings more than 15 years of experience in business development and entrepreneurship to the University’s incubation program. He comes to UT most recently from ProMedica Innovations, where he worked as a venture partner for the NextTech Ohio Entrepreneurial Services Provider project assisting scientists and physicians in developing innovations into commercial ventures that are prepared to raise capital for company expansion. Genide’s career also includes serving as the CEO of Gottfried Medical, where he oversaw a staff of 40 that had annual revenues in excess of $3 million. He brings additional experience from business development positions at Rocket Ventures, Siemens Medical, Abbot Vascular Devices and SonoSite. As director of LaunchPad Incubation, Genide will work with existing tenants in UT’s Nitschke Commercialization Center and its Laboratory Incubation Center, as well as recruit new companies, both from UT and the community, into the incubation program. Genide also will serve as UT’s lead on the NextTech Ohio ESP program. The program, managed by JumpStart of Cleveland, includes collaborators ProMedica Innovations, Mercy Health Toledo and Bowling Green State University. This entry was posted on Monday, December 3rd, 2018 at 3:02 am and is filed under Alumni, Arts and Letters, News, Research, UToday .